Before you rush off and make mistakes that in the end will cost you money and disappointment, take some time here and learn some of the critical first steps. There are a host of topics discussed that will help you conceive and plan the right design for you. Are You Starting To Develop A Sense? 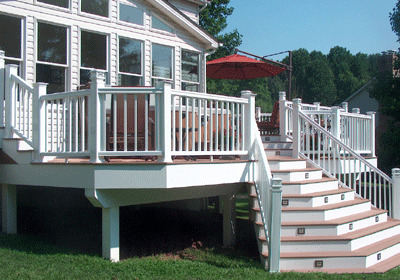 Creating the deck you want is part Artisan and part Technician. Hopefully this discussion has helped you get a better sense of what you want for your backyard and where to begin.